Following its first distribution deal to export to Singapore and just 19 months after the opening of its $30 million plant, Chobani Australia — maker of Australia’s fastest growing yogurt brand — are exporting to Malaysia. Made in Dandenong South, Victoria, the exported Chobani Greek Yogurt has already been in strong demand in this early phase of the distribution deal and orders have been coming in quickly. 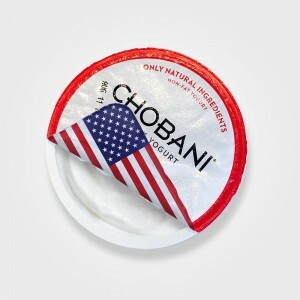 This follows the great reception of Chobani Greek Yogurt in Singapore, with strong distribution established within the first three months of exporting. Under the agreement with Malaysian distributor Gourmet Partner, fifteen Chobani SKUs will be sold through leading hotels and high end retailers, including AEON, DFI and Tesco. The products that fall under the export agreement include 170 gram single-serve pots in Plain, Blood Orange, Blueberry, Black Cherry, Lemon, Mango, Raspberry, Passion Fruit and Strawberry, in fat-free yogurt and low-fat yogurt varieties. Five flavours of 140 gram pouches will also be available, as well as fat-free Plain Chobani in a 907 gram multi-serve format for those who regularly add their own fruit and cereal toppings, or who like to use it in cooking. “Every market is unique, but what is consistent so far is that all early indicators show strong demand for Chobani Greek Yogurt in Asia,” Mr. Meek concluded. Chobani Australia’s manufacturing plant was significantly expanded in 2012 in order to cater for its vision of continual local growth and export into Asia Pacific. Chobani will continue to scope out APAC markets and identify the best distribution partners from the hundreds of unsolicited proposals it has been receiving since launching in Australia just over two years ago.